When you say Edited Characters do you mean characters from outside CvS? 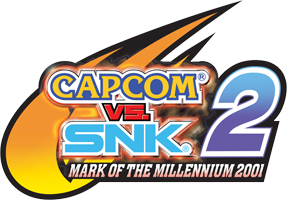 Can we have this more organized than the MFFA collection by not adding in characters that aren't from the actual game and do not use the CVS2 system at all aside from those that are made with the intention of replicating CVS2 mechanics like waru's extra characters, etc. It became really muddy and cluttered when I started seeing random characters that only happened to use CVS sprites that had nothing to do with the gameplay system at all. I agree, it's really hard to navigate over there and with this being here, we can have a more streamline collection. Characters with the system only or put them in the edited chars with the system. Thanks guys, I plan on this being more organized. If you see anything out of place as I go just let me know. That was the plan but I may give it a different title once I get to that section.